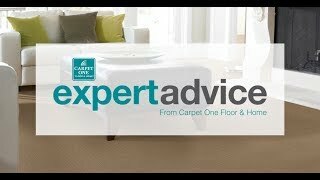 Selecting the right carpet for your home can feel overwhelming at times with all the different options available. That's why at Quality Carpet One Floor & Home in Crofton, MD, we make the floor buying process easier. We carry only the top carpet brands and products in our showroom. Our knowledgeable staff is here to help you find the right carpet for your home. Learn more below about different carpet options. Carpet fibers play a role in how a carpet functions. Synthetic fibers, like nylon and polyester, can be made to be super durable and ultra-plush. Wool carpets have their own special benefits like being flame retardant and sound absorbing. Pile styles impact that way carpets look. There are cut piles, loop piles, and cut and loop piles. Color also plays a role depending on the amount of traffic in your home. There are also stain resistant carpet options. A common enemy of homeowners is carpet stains, and having a carpet that is stain resistant not only provides you peace of mind, but it also makes cleanups easier. Regardless if you need a carpet that is easy to clean or one that is super soft underfoot, it is important to know where you can have that carpet installed in your home.We can help you find a carpet that suits your home and lifestyle. Carpets are more durable than you think and can handle places around your home with heavy traffic like hallways, stairs, and even living rooms.Now spaces in your home and can personal retreats that are warm and cozy, and somewhere you look forward to spending time in. Quality Carpet One Floor & Home is proud to be your local flooring retailer. We have Carpet One exclusives such as Lees, Tigressa Cherish, and Innovia. These high-quality carpet brands are only available at Carpet One stores. We also carry quality name brands that you have come to love and trust. In addition to carrying residential carpet options, we also carry commercial grade carpet tiles as well. Carpet tiles are durable and come in a wide variety of options. They are easy to clean and simple to replace. Click here to learn more about our featured carpet brands. Not all carpets are built the same. Piles and fibers affect how a carpet functions and how it'll perform in your home.